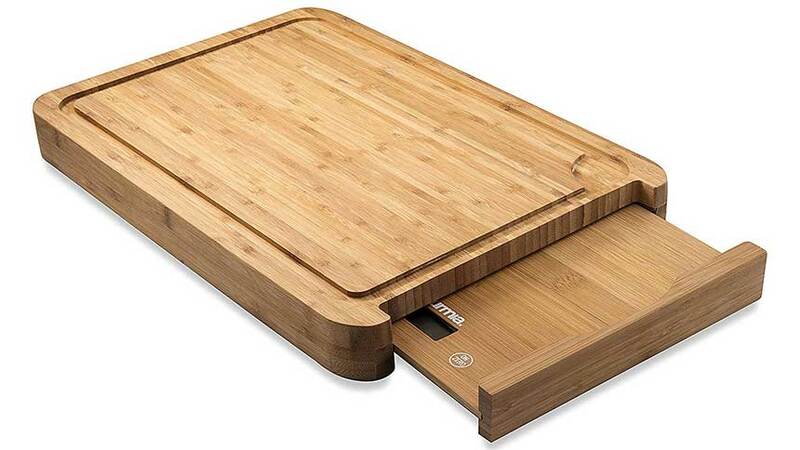 A cutting board with a built in scale is a handy kitchen accessory. The scale is built in as a side drawer that is removable. This is nice because you can get the exact amount you want without having to remove the core food you are chopping up. 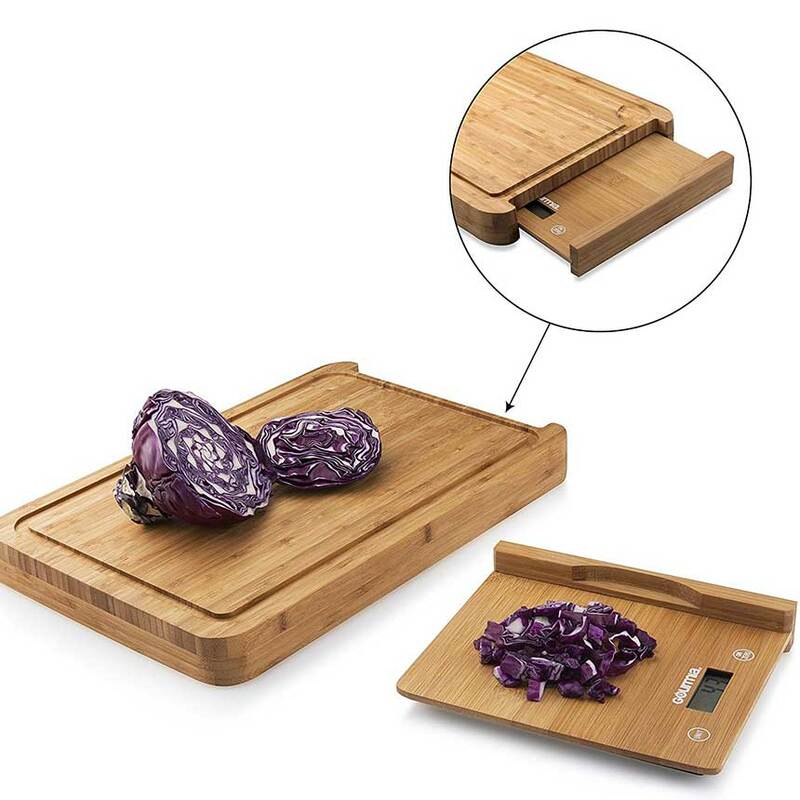 This a cutting board with removable scale is a great gift idea for any of the cooks in your life. The scale easily pulls out of the side drawer. The wood is made from high quality bamboo that looks great. The board has a cut in boarder to prevent liquids from running off. Most of the time you probably won’t use the scale, but it’s still a nice feature to have. The cutting board itself is top notch. The scale is very accurate and can display grams or ounces. The scale has an LED display that gives precise readings up 5kg (11 pounds). The screen features one touch commands, low battery life warnings, auto shutoff, and more. With the boards automatic zeroing function prep time will be quicker than ever. If you have any questions about this gift idea just let us know in the comments section below. Be sure to check out our other categories before you go!